On March 19 - 21st, the FOSSIL Project hosted a small group of avocational and professional paleontologists at the Northeastern and North-Central GSA Joint Section Meeting in Pittsburgh, PA. Several of these FOSSIL Project attendees are also members of the Special Friends of the Aurora Fossil Museum. 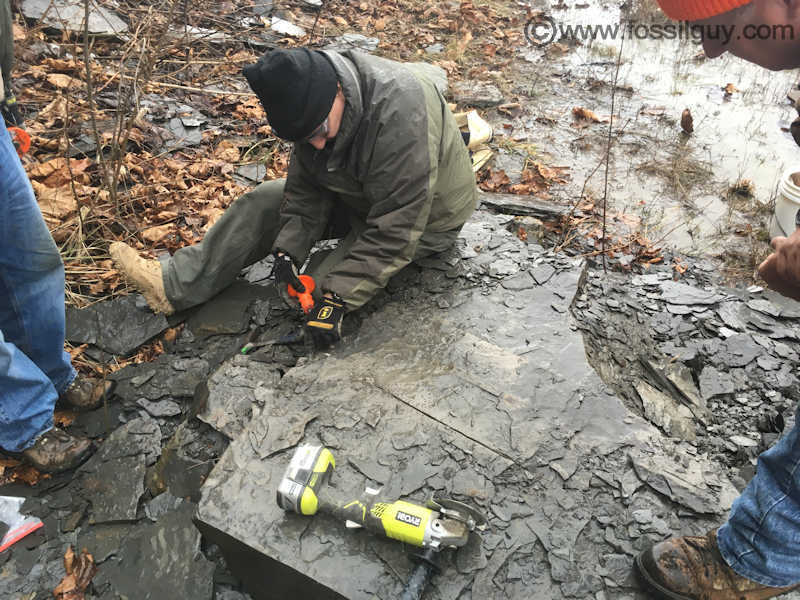 Kyle Hartshorn: DIGITAL DRY DREDGING: REASSESSING EOBALANUS, RUEDEMANN'S "ANCESTRAL ACORN BARNACLE"
John Westgaard: DIRT PILE DREAMS - ACT III: FINALE OR PROLOGUE? 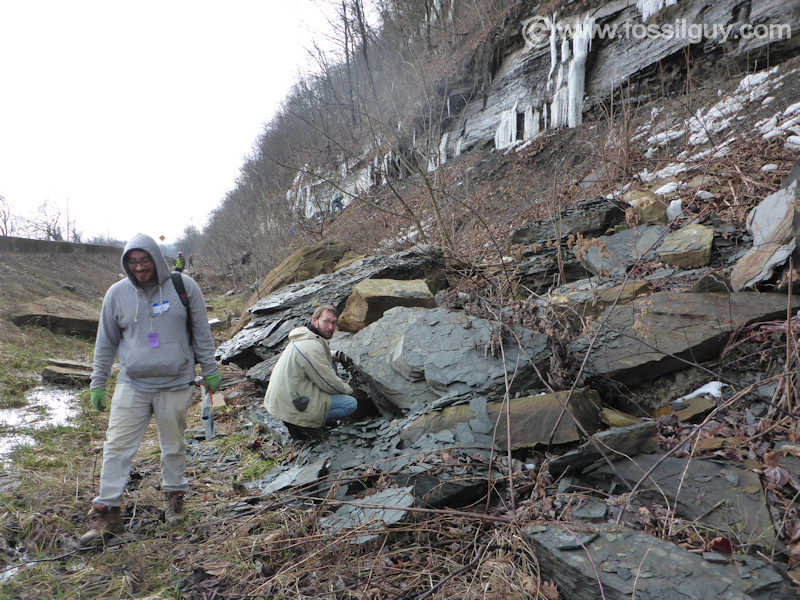 During the meeting weekend, Bill Shankle (DVPS) and I (FOSSILGUY.COM) led the FOSSIL Project crew on a field trip. It started with a behind the scenes tour of the Carnegie Museum of Natural History. Here we saw one of the prep labs and two storage rooms, named the "Big Bone Room" and the "Little Bone Room." The Big Bone Room contained a few famous holotype specimens, including the holotype of Tyrannosaurus rex. We were even allowed to handle a fossil from this amazing holotype. 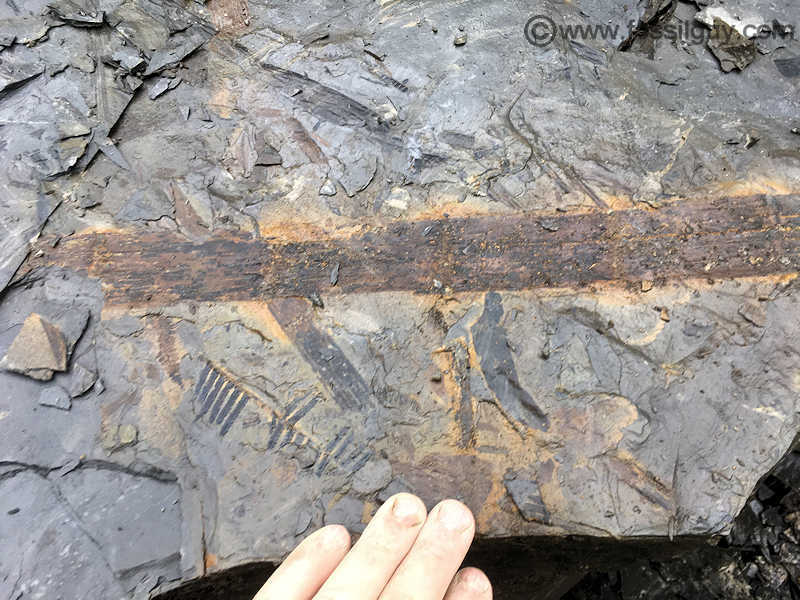 After the tour, the group browsed the museum for a bit and then headed to a road cut near Pittsburgh to collect carboniferous age tree ferns. A few nice fern plates were found, and everyone at least found smaller fern and calamites fragments. I would like to thank everyone at the FOSSIL Project for providing us with this wonderful opportunity to demonstrate the importance of avocational paleontology at a professional conference. If you don't know about the FOSSIL projects collaboration between avocational and professional paleontologists, I recommend checking out the Fossil Project website. No, I didn't drop any! Inside some of the Bone Rooms and Prep labs of the Carnegie Museum. 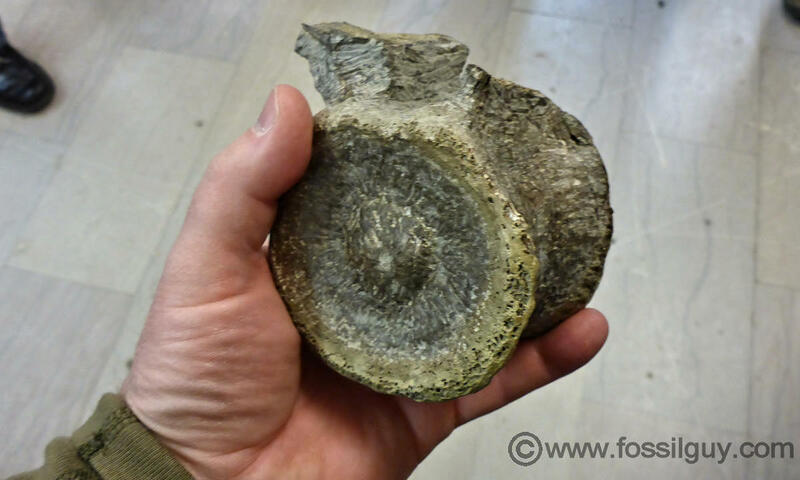 A pliosaur vertebra from an Antarctica expedition. FOSSIL Project members collecting tree fern fossils at a road cut near Pittsburgh, PA.
More FOSSIL Project members collecting fern fossils at a road cut near Pittsburgh, PA.
Lots of Calamites stem sections were found. 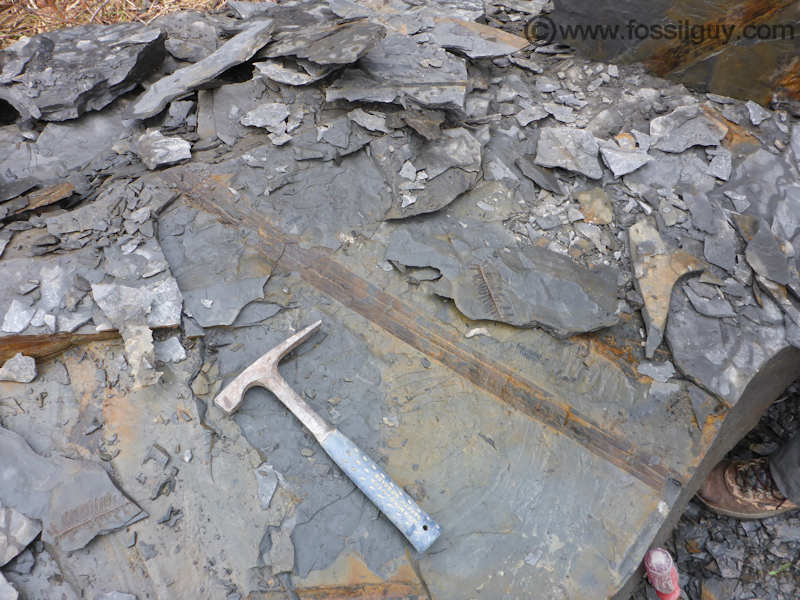 Here is a large Calamites stem section.